Fred Meyer is a hypermarket chain owned by The Kroger Co. The company is also known by the nickname Freddy’s. 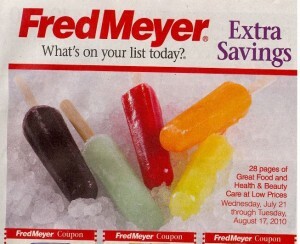 Fred Meyer was founded in 1922 by Fred .G. Meyer. The first store was opened in Portland, Oregon. Fred .G. Meyer’s retail business dates back to 1908, when he started selling coffee to people working in farms in Portland. His interest in business prompted him move to Alaska. After a few years, he went back to Portland and opened his own coffee company, Java Coffee Company. Later, the name of the company was changed to Mission Tea Company. His business became very successful and he started acquiring other small businesses in his neighborhood. The first Fred Meyer store was opened in 1922 with only 20 employees and seven departments. He opened a self-service drugstore in 1928, which was the first one of its kind in the world. The company opened four new stores during the Great Depression in 1929. Another store was also opened in Hollywood with off-street parking and automobile lubrication and oil service. In the 1930s, new departments like men’s and women’s wear, automotives, homewares, bakery, candy kitchen, ice cream plant and photo-finishing plant were opened. In the late 1950s, the company started expanding its business acquiring Marketime drugstores in Seattle. By 1960, the annual revenue peaked to $56 million. By late 1960s, the individual departments of the company started working independently. The whole look of the stores was also improved by adding colorful displays, tiled aisles and carpeted floors, which eventually increased the profit of the company. In 1973, the first Fred Meyer jewelry store was opened. The company acquired Fox Jewelry Company in 1997. In October 1999, Fred Meyer merged with The Kroger Co. but it continues to operate under the name Fred Meyer. Ownership: Wholly Owned Subsidiary of The Kroger Co.
Demography: Organic and green shoppers. Special Services: Pharmacy, clothing store, shoe store, fine jewelers, home décor store, home improvement store, electronics store, toy store and sporting goods store. Fred Meyer Northwest Best, Northwest Portland; Gig Harbour and Redmond in Washington. Is that card good for Fred Meyer’s as well?